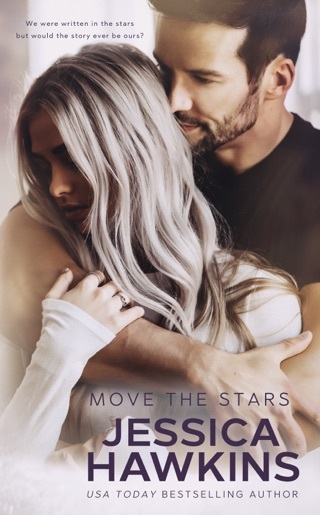 Something in the Way is book 1 in a USA Today bestselling love saga. What an incredible start to this coming of age story! I was immediately captivated by Lake and Manning and devoured this book! Growing up in the same time period as the story took place in only enhanced my enjoyment and I loved all of the pop culture and music references. I honestly felt like I was right there with Lake back in the 1990's. The writing was beautiful and I experienced so many emotions while reading this book. Jessica Hawkins captured the excitement, anxiety, confusion, and butterflies of falling in love so perfectly. Lake was such an intelligent and mature heroine, but at the same time she was vulnerable and girlish, teetering on the cusp of adulthood. Manning was brooding and dark, but behind the walls and hurt was a man trying to rise above the circumstances of his life. Honestly, all the characters were so genuinely imperfect that you couldn't help but relate to them and root for them to overcome the odds. I don't want to give anything away so please forgive the vagueness and brevity of my review. Just know that this story will take you on an emotional journey you won't soon forget. It is a slow burn romance that will lift your heart one minute and then rip it out of your chest the next. 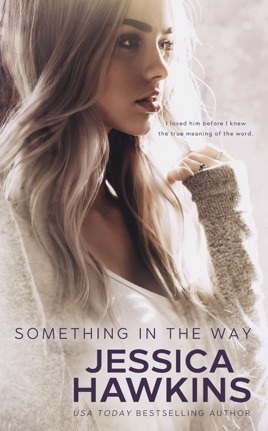 Something in the Way is the first book in a three part series, so please hold onto your hearts and have the tissues ready! I love this book so much. I love the whole series is definitely a must read!